Yes is it possible that a Buffalo lawn be grown from seed – if you can get your hands on any. At last check Buffalo seed is not available in Australia. And no. Growing Buffalo lawn from seed is notoriously difficult and hence why most people, including turf farmers, don’t even try. This is, in part, why a turf farm never harvests the entire stock of Buffalo lawn at one time – we leave a strip behind that the new lawn can grow from. And there’s more – many of the Buffalo turf varieties available in Australia today have been bred to not seed. So if someone is trying to sell you seed and guaranteeing a strong and vibrant Buffalo lawn you would be well advised to ask for some customer testimonials that you are able to verify or the contact details of past customers that you can speak with directly. But it’s not all bad news, one of the great traits of Buffalo lawn is its ability to self-repair and regrow. Should you have some bare patches in your lawn, clearing out the dead grass and an application of fertilisers should be enough to encourage new growth from the lawn plants surrounding it. And with the ease of laying a new, instant Buffalo lawn with Harden Park Lawns why would you consider struggling to propagate a lawn from seed? 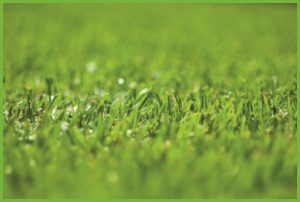 The initial outlay of turf may seem a lot more expensive than sowing seeds but if you take into consideration the fact that you will watering frequently for less time than with seed and that you have a lawn that looks fantastic straight away and to use in a matter of weeks – it’s a no brainer. Turf provides an easier option to a guaranteed strong and healthy lawn.